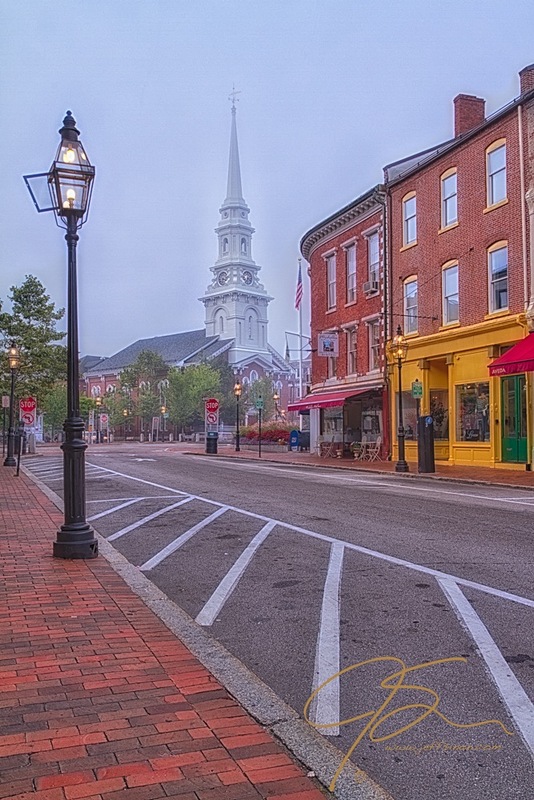 Morning fog and empty streets in Market Square, Portsmouth, NH. Come play in the Street. Beautiful shot! I had knowed Porthmouth 20 years ago!! Not the capture, but the view I remember seeing. When I think about a small town where I would love to live a picture like this comes to my mind. Beautiful composition and muted colours on the church! Living in a town like this is both a blessing and a curse. It is indeed a beautiful area, but about the only time this particular area isn’t armpit deep in cars and tourists is very early in the morning. The traffic and the people would get real old real fast if I had to deal with it every day. Visiting is great though, lots of great little shops.